TORONTO — As Sears Canada executive chairman Brandon Stranzl prepares to launch a bid for the ailing department store chain, questions persist as to how his wife was able to secure an executive role with the retailer that lasted for more than a year and ended weeks before the company filed for bankruptcy protection. Jennifer Stranzl worked as the company’s chief marketing advisor on a contract that stretched from September 2015 to June 2017. That fact was never disclosed in the retailer’s public documents, press releases or website, though it was well known within the walls of Sears Canada, where Stranzl occupied a corner office on the same floor as her husband and other executives. Current and former employees and senior managers of the company, who spoke with the Financial Post on condition of anonymity, said that Jennifer Stranzl’s presence caused significant tension in the upper ranks of the beleaguered retailer. Some believed hiring her as an advisor was a clear conflict of interest and sent an unprofessional message to the workforce, and could cast a cloud over Stranzl’s reputation as he mounts his effort to rescue the retailer from insolvency. “Everybody thought that (Jennifer Stranzl’s) being there was wrong, and everybody thought it was interfering with the ability of the merchants to make decisions to grow the business,” said a former Sears executive who worked for the company throughout Stranzl’s tenure. Stranzl and her husband arrived at Sears at a particularly dire time for the ailing department store chain, which had just lost its fourth CEO in four years and was desperate to find a reinvention strategy that worked, after more than a decade of sales declines. “She had an autonomy that nobody would have had otherwise in that position, were she not married to Brandon,” the source said. Multiple industry and legal experts said that such a scenario would not typically be allowed at similarly large corporations, public or private, regardless of whether Stranzl was hired as an employee or was engaged as a contractor. 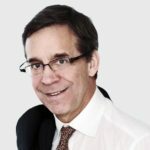 “Most boards would never allow this for several reasons — it introduces the capacity for possible breach of confidentiality, allegations of unequal treatment, and conflicts of interest,” says corporate governance expert Richard LeBlanc, a professor of law, governance and ethics at York University. Sources also recounted head office incidents more befitting of a tawdry reality show than a professional environment, alleging that employees were privy to heated disagreements between the Stranzls in meetings and over the telephone. “It put everyone in a really bad situation,” one source said. Jennifer Stranzl did not respond to multiple requests for comment. She joined the company shortly after her husband Brandon, who was the chairman of Sears Canada, took on the role of executive chairman. Former CEO Ronald Boire had resigned in July 2015 to run the U.S. bookstore chain Barnes & Noble. 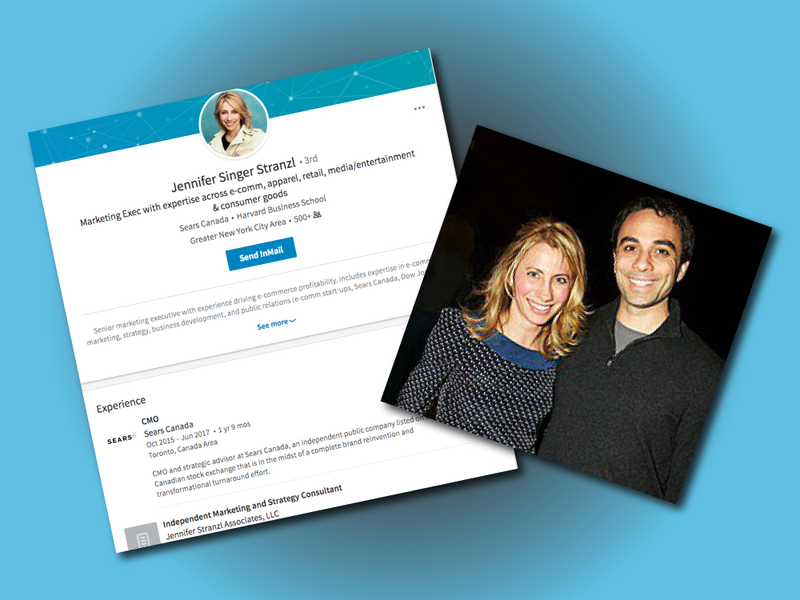 Prior to her role at Sears, Stranzl, who has an MBA from Harvard University and a Bachelor of Science from MIT University, worked as a self-employed marketing consultant at Jennifer Stranzl Associates LLC, according to her LinkedIn profile. Before that, she was a partner and chief marketer for an unnamed e-book start-up; worked on developing a line of loungewear; and was employed as a marketing consultant for NYC Seed, a venture capital firm in New York with between two and ten employees, according to LinkedIn. Her arrival at Sears, which employs around 14,000 people, not only concerned top brass, it also appeared to stifle the role of then-CMO Rob Shields, according to a source familiar with the situation. “There were arguments,” said the source, adding senior leaders of the company knew “that there would be an optics problem” when it came to hiring the executive chairman’s wife, regardless of her qualifications. Shields, a former CMO at Canadian Tire Corporation Ltd., left Sears Canada soon after Stranzl joined the marketing department. He declined to comment on his departure. Company insiders also reported friction at Sears Canada over the retention of Baltimore-based advertising agency TBC Inc., rather than a Canadian company, a situation insiders say arose due to a previous business relationship between Stranzl and the president of TBC, Nichole Baccala Ward. “Why would we hire this agency in Baltimore and pay 30 per cent more with the exchange rate when there are some of the best agencies in the world down the street?” in Toronto, where Sears Canada is headquartered, said a source familiar with the situation. The choice “made no sense,” the source said, from a cost or logistics point of view. Baccala Ward had no comment. A spokesman for Sears Canada confirmed that Stranzl had a previous business relationship with TBC, and she felt the company would fill a need Sears had at the time, “especially as we prepared to enter the digital advertising arena in a much more substantial way than prior to Brandon’s arrival at Sears,” said Vincent Power in a statement. Retail and legal experts told the Financial Post that good corporate governance practice dictates that hiring a relative should not happen for any reason. The fact that it occurred at Sears Canada, they say, raises serious questions about the quality of the struggling retailer’s recent leadership and the efficacy and independence of its board. Sears Canada’s published Code of Conduct for the Board of Directors says, “a director must immediately disclose to the Lead Director and the Chairman of the Board any situation that involves, or may reasonably be expected to involve,” a conflict of interest. “It is not good governance and it is not in the spirit of good governance,” said retail expert Wendy Evans, who has significant experience as a director on public and not-for-profit boards and is president of Toronto-based advisory firm Evans and Company Consultants Inc.
Evans said Sears Canada’s board would have had to conduct a thorough search of other external candidates and agree that Jennifer Stranzl was the best suited for the position in order for her to secure such a role. But even if she was an extremely competent marketer, hiring her could still present the appearance of a conflict to employees and possibly spark concerns about favouritism. Sears Canada spokesman Power said Jennifer Stranzl “was retained as chief marketing advisor in a consulting capacity, not as an employee. 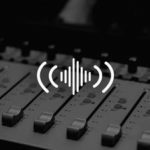 Based on her education and previous roles in the marketing and communications sectors, she was exceptionally well qualified for the role she was to have within Sears. “The decision to retain her followed all regular approval processes including that of the Board of Directors,” though Brandon Stranzl, who as executive chairman was running the company and headed its board of directors, recused himself from the decision. Brandon Stranzl, who is currently working on a bid for Sears Canada that is due Thursday, had no comment on his wife’s work at Sears. However, sources close to the executive chairman said the retailer was having difficulty attracting and retaining good leaders to the CMO role when Jennifer Stranzl was retained in 2015. She came to the role without significant retail marketing experience and her background did not match that of her predecessors in the role, or that of two executives who reported to her directly: Zachary James, a former vice-president of corporate and category marketing at Walmart Canada, and Steve Silverstone, former executive vice-president of marketing at Boston Pizza. Regardless, Stranzl accomplished a great deal in a very short period of time, according to another source at Sears who worked with her. According to sources, Brandon Stranzl wants to save the bulk of the company’s full-line stores and focus on significantly expanding its online operations. Jennifer Stranzl’s departure from Sears was announced to employees on May 25 in an internal email from Becky Penrice, who was the senior vice-president of human resources when she was hired. She is now the company’s chief operating officer. “Jennifer joined us in September 2015 with the intention of launching the new Sears Club Rewards Loyalty Program, which she completed in just 72 days,” said the e-mail. In an email, Penrice said she had no further comment beyond Power’s statement. Sears Canada said Jennifer Stranzl did not receive severance or any other form of termination payment from the retailer when she left. While hiring relatives might be inevitable in family-owned companies, “beyond that, it is something I always recommend against,” he said. LeBlanc, the corporate governance expert, said most companies have policies directly prohibiting hiring family members unless it is unavoidable. “It is highly anomalous and it raises obvious questions about nepotism and conflict of interest,” LeBlanc said. If the code does not explicitly prohibit nepotism, such a move is still “never done, because it is just so strange” and is generally considered to be a conflict. “If she was hired as a consultant (rather than employee), that kind of makes it worse – it makes it look like Sears was trying to avoid treating someone as an employee,” LeBlanc said.